Castles have survived for over 1,000 years and will, hopefully, be around for another millennium. Although they no longer have military uses they have adapted to changing requirements by opening up to the public in a way that their original builders had never imagined. Some medieval castles are still in their original family; many are owned by charities or by the government and somec castles are just a plaything for wealthy people! Some castles open their doors for public visits and castle tours during select times of year. Some castles have opted to become castle hotels, opening their doors to discerning guests looking for luxury accommodation in a historic setting. Some castles stage special events for the public such as music concerts, theatre productions, steam engine rallies, craft fairs, medieval fairs. 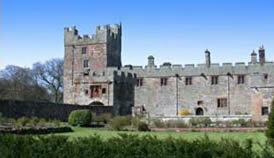 Some castles are even available for hire as wedding venues or corporate venues . 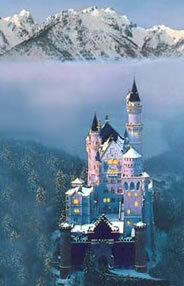 Some castles enjoy the privilege of extra income from photographic shoots and being used as historic film locations for movies and television. There is such a wealth of castles to visit that castle tours are very popular today and for those dreaming of owning a castle, there are always a few castles for sale. We also join the debate as to which are the greatest medieval castles. Indeed, we have our own list of the greatest medieval castles in Britain & Ireland and greatest castles in Europe.